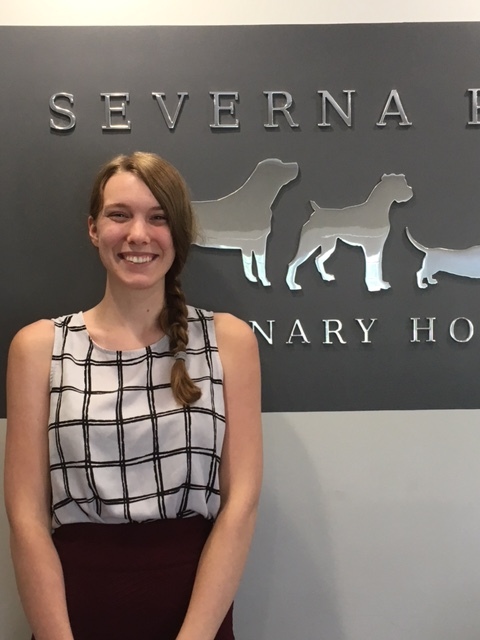 Severna Park Veterinary Hospital was established in 1974 and is currently owned by Dr. Jessica Heard. We are current members of the Severna Park Chamber of Commerce and are dedicated to helping your beloved pets. Drive, bike or walk to Severna Park Veterinary Hospital. We have recently moved our location just around the corner to 4 Evergreen Road directly across from the Severn School Athletic Field. Drop off appointments are available while you work. All are welcomed to stop by. 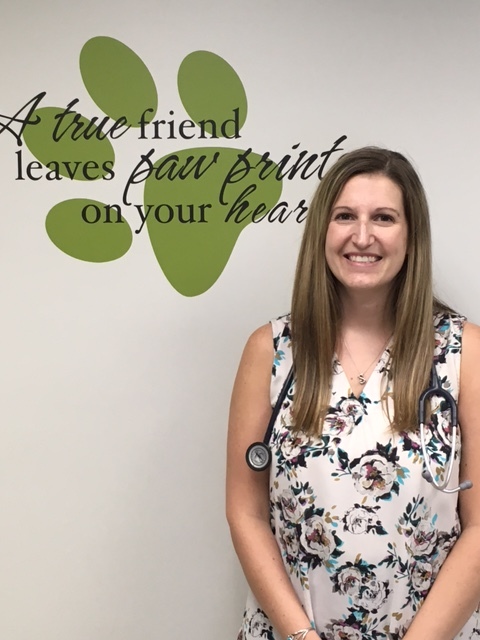 Dr. Jessica Heard attended Auburn University's College of Veterinary Medicine. After practicing in Georgia for many years, she returned to her home state of Maryland and lives in the neighborhood of West Severna Park. While practicing in Georgia, she volunteered with the Atlanta Doberman rescue organization.. She belongs to the Maryland Veterinary Medical Association and the American Veterinary Medicine association. When not practicing she keeps busy as a mother of two young children as well as her involvement in the community. Dr. Ferguson began her veterinary career practicing in New York City. She returned to Maryland to practice emergency medicine at Anne Arundel Veterinary Emergency Clinic in Annapolis. She has since practiced in numerous small animal hospitals in the local area doing relief work while she raised her three young children. She is a member of the American Veterinary Medical Association and the Maryland Medical Association. Her interests include emergency, pediatric, and geriatric medicine. She also enjoys treating and helping pocket pets and exotics. 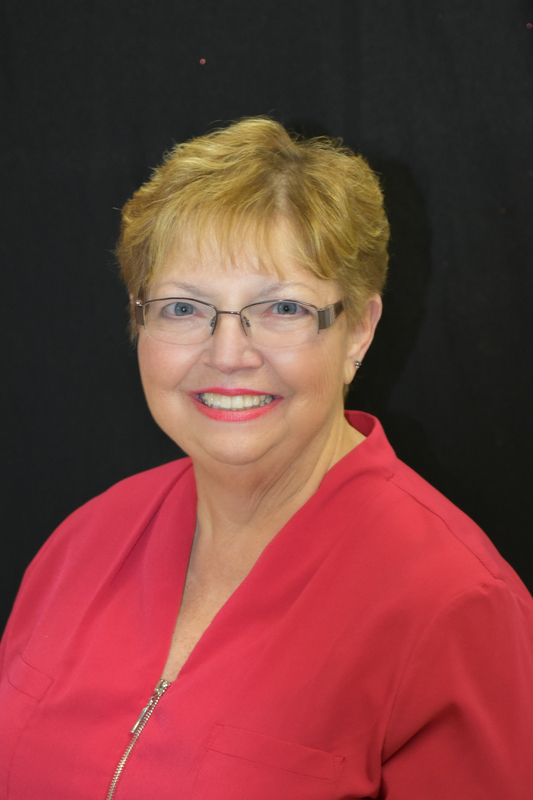 In her free time she enjoys spending it outdoors with her family on the Severn River boating, kayaking, horseback riding, skiing and traveling. She has an assortment of animals that include her West Highland Terrier "Winston", hamster "Roxie", Gecco lizard, "T-Rex", goldfish and hermit crabs. Dr. Storm Todd Parks is originally from Crisfield, Maryland, a small town on the Eastern Shore. 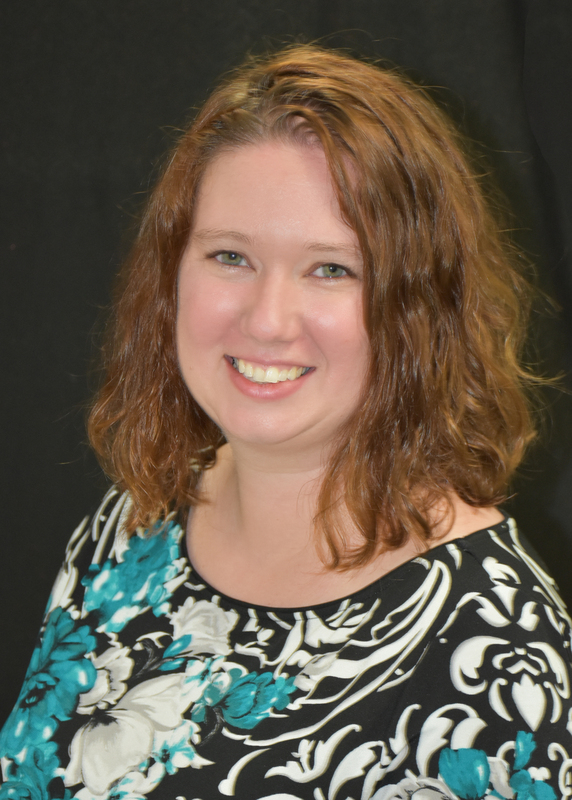 She received her undergraduate degree in biology from Salisbury University and then went on to earn her veterinary degree from the University of Missouri in 2015. 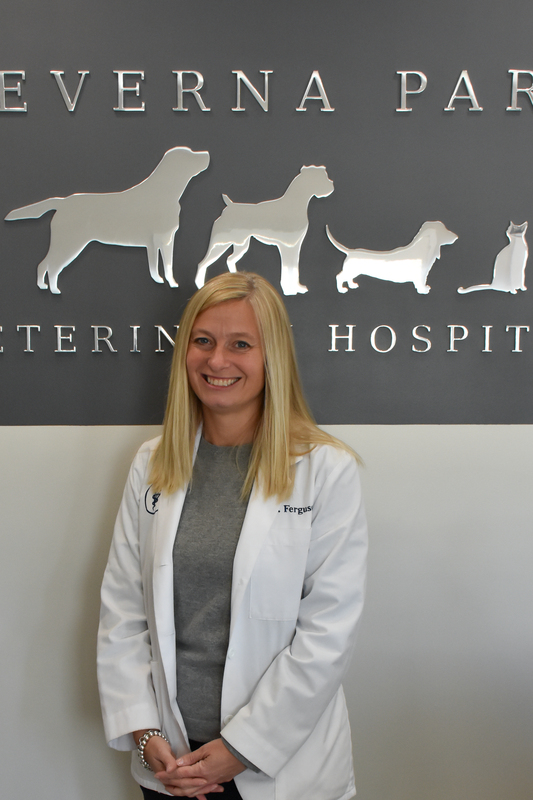 Prior to joining the Severna Park Veterinary team, she worked in Easton, Maryland where she treated both small animal and pocket pet patients and saw after hours emergencies. 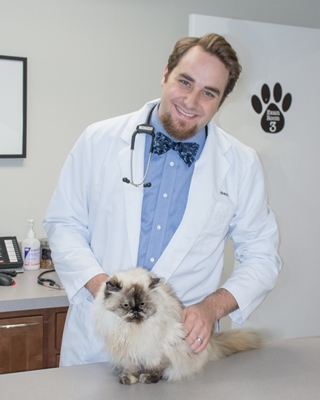 Dr. Storm’s veterinary passions include surgery, dental care, and dermatology. She belongs to the American Veterinary Medical Association and the Maryland Veterinary Medical Association. When not at work, she loves going on adventures with her husband and her French bulldog, Charles. She also enjoys spending time on the Chesapeake Bay, reading, traveling, and watching sports. She has several other animals she loves at home including two cats, and a mini Rex rabbit. Dr Ben Reichenbach grew-up in Towson, MD. He moved to Colorado when he was 16, and stayed there to attend Colorado State University for his undergraduate education. He then attended veterinary school at the Virginia-Maryland College of Veterinary Medicine, graduating in 2018. He is excited to have returned to his home state, and begin his career at Severna Park Veterinary Hospital. Dr. Reichenbach's veterinary passions include wildlife and exotic medicine, surgery, and anesthesia. He belongs to the American Veterinary Medical Association and the Maryland Veterinary Medical Association. When not caring for critters he enjoys swing dancing, playing board games, and adventuring outdoors. He shares his home with his dog (Juniper), two cats (Phoebe and Tiger Lily), two sugar gliders (Icarus and Hercules), and his ever patient wife. 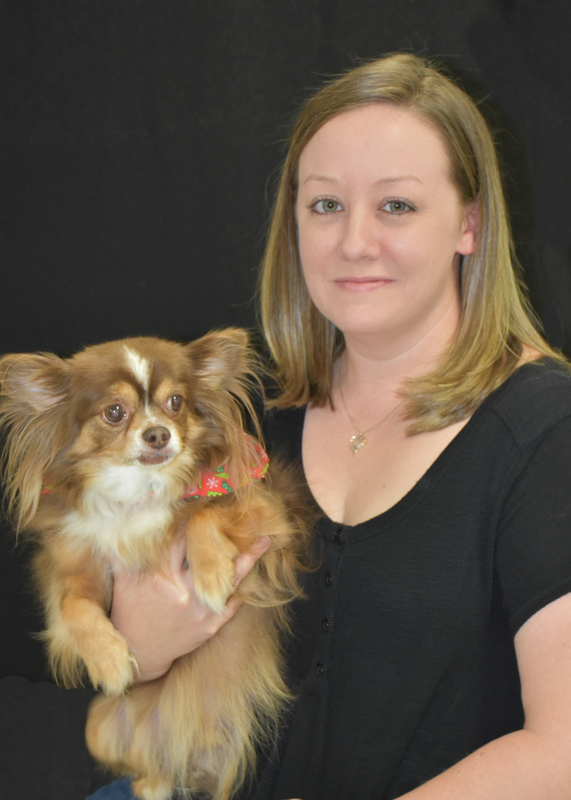 Cindy has over 10 years experience as a veterinary nurse and has a special interest in animal dentistry. She especially loves small dogs and cats. She lives locally with her dogs Raven and Harley, her Cockatoo Rocky and her cat Nubbins. Dawn has been a veterinary nurse at Severna Park Veterinary Hospital since 2002. She has quite a brood of beloved pets at home and much of her spare time is spent caring for them and her son and daughter. She also keeps herself busy petsitting for many of our client's pets. Ashley has been with SPVH since 2005. She enjoys helping our furry patients. She also rescued an adorable Welsh Terrier "Scruffy" and much of her free time is spent keeping him out of trouble and raising her adorable daughter! Chris has been with Severna Park Veterinary Hospital since 2003. She works as a part-time receptionist. She lives locally with her husband, two dogs Simon and Duchess and her kitty Louise. 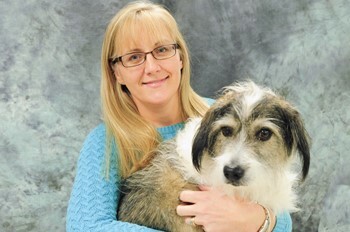 Lorraine has been with Severna Park Veterinary Hospital since 1992. She is the office manager and bookkeeper and tries to spend time with the animals whenever she can. When not juggling the many things that keep her busy at SPVH she is kept pretty busy with family life spending time with her husband, two sons and a terrier mix Finn. Kelsey joined SPVH in May 2014. She is a dedicated and compassionate individual and we are fortunate to have her on our team. 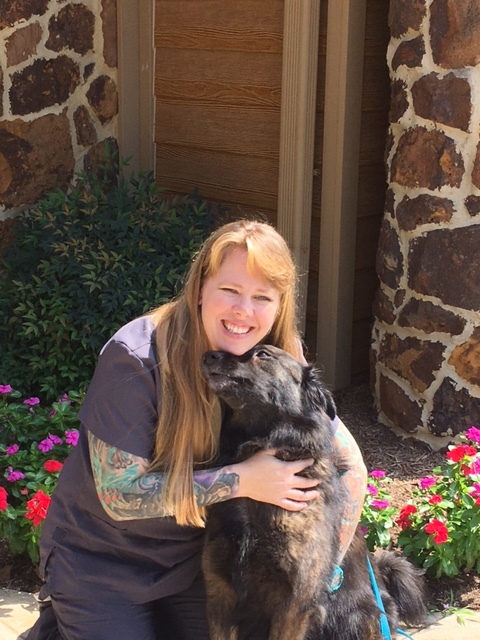 She began her career in the veterinary field 4 years ago. She is looking to expand her veterinary nursing skills and hopefully one day fulfill and even bigger dream of going on to vet school. Kristin has been an avid animal lover since childhood with a special interest in feisty felines. 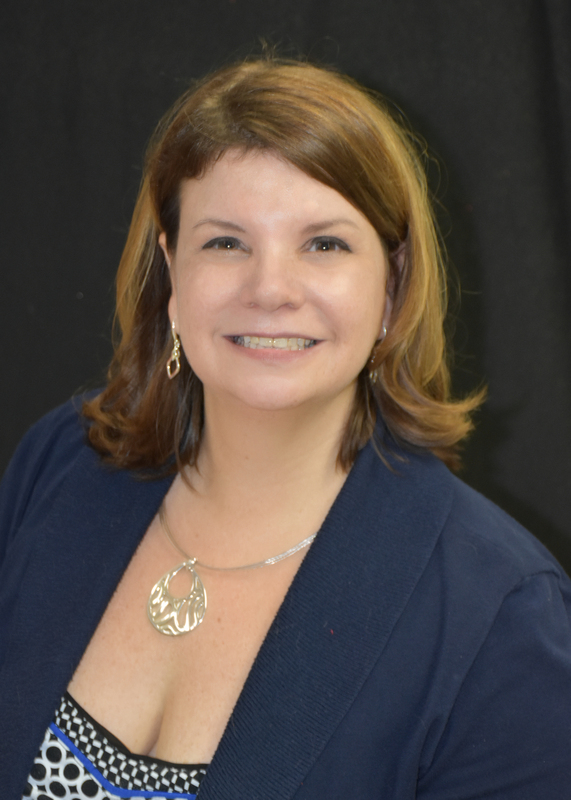 In 2013, after many years in an office setting, she obtained a Veterinary Assisting certificate from Anne Arundel Community College and started her Veterinary Technician career. When she's not at home spoiling her cats, she enjoys cooking and baking for her friends and coworkers, traveling with her husband, Jeff and doing anything Halloween related. I have been a dog trainer for almost 25 years and at one point started and ran my own nonprofit 501(c)(3) organization to rescue adult dogs from shelters and train them for adults and children with disabilities then placed them free of charge with their disabled person. I have also had the opportunity to work with police and personal protection dogs as well as training and working with large cats at a wildlife sanctuary in Florida. I have been working in the veterinary world for over a decade and enjoy the ability to help pets and their owners. Emily joined our team in 2017. She is one of the friendly faces that will greet you when you arrive. 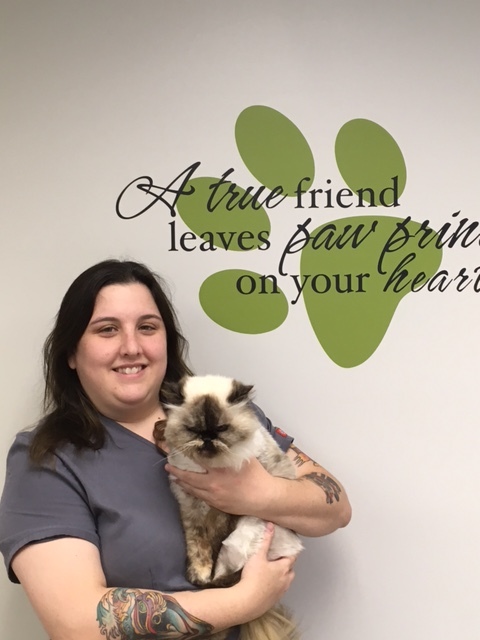 Emily loves all the furry patients but has a special place in her heart for the feline companions. She has two adorable kitties herself named Nutty and Jack-Jack. Alyssa joined our team in 2016. Alyssa has an adorable Pug named Penny. When Alyssa isn't working she is usually on an adventure with Penny. Penny is a therapy dog with Pets on Wheels and visits school age children with special needs. The kids can't wait to see Penny and Alyssa each week. Shay joined our team in 2017. 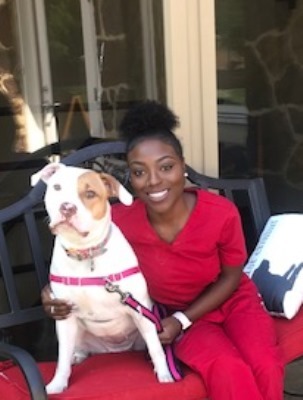 When Shay isn't working and caring for the patients at SPVH she is spending time with her dog LuLu and continuing her education as a veterinary nurse.